‘Batman vs. Superman’ Reveals the First Look at the New Superman! We got our look at one half of 'Batman vs. Superman' back in May when director Zack Snyder tweeted the first look at Ben Affleck as Batman. Today, we get our first look at the other half of that equation with an official look at the new Superman. Just in time for the Fourth of July holiday, USA Today has the reveal of Superman, one of our more patriotic superheroes. If you're wondering what the new Superman looks like...well, he looks pretty much like the same Superman from 'Man of Steel.' Don't expect to see major changes, but if you look close enough, you can see that Supes has done some minor upgrades to his duds since the last film. You can talk all you want about other superhero movies, but it's Batman and Superman, let's just be honest. I don't know how you get bigger than that. It's Batman and Superman AND Wonder Woman actually, the latter of whom will be played in 'Batman vs. Superman' by 'Fast and Furious' star Gal Gadot. Synder says Gadot hasn't actually filmed any scenes as Wonder Woman yet, and that she's still "working out and getting buff" for her big scenes. Explaining the very curious title, Snyder says that they went with 'Batman v Superman: Dawn of Justice' to "keep it from being a straight 'versus' movie, even in the most subtle way." We're not sure that makes a ton of sense because everyone, us included, is just calling it 'Batman vs. Superman' anyway. Why not embrace that? Like Snyder says above, it's a Batman and Superman movie and we expect that to face off, so why hide the one thing that's really getting people to see this movie? But, we digress. 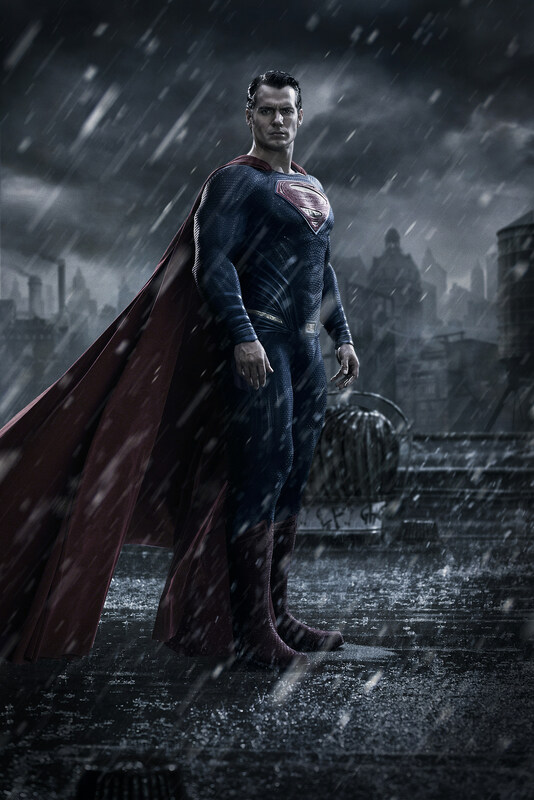 'Batman vs. Superman' opens in theaters on May 6, 2016 and you can get a much, much bigger look at the first Superman photo from the film by clicking on the image below. Source: ‘Batman vs. Superman’ Reveals the First Look at the New Superman!